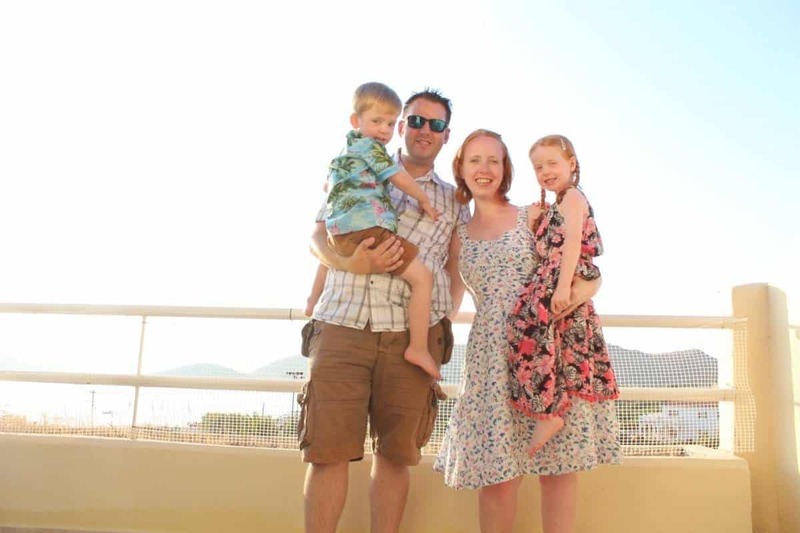 What Makes a Family Holiday Amazing? 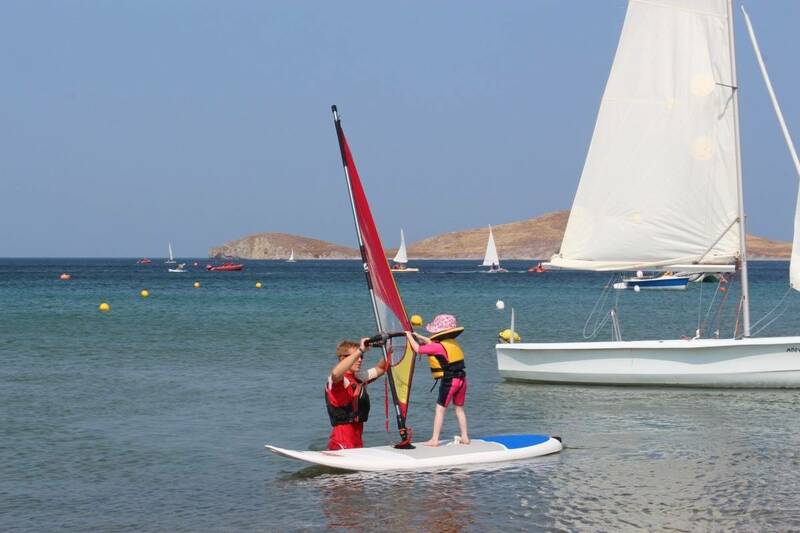 What do we look for when booking a family holiday? A pool, beach, nice food and things to see and do? Well, Booking.com have completed a study to see what exactly children want from a family holiday – and whether it’s actually the same things parents look for when booking holidays for the family. Booking.com questioned over 22,500 children globally to find out what they want from their family holiday and depending on the child’s age the answers varied quite considerable. Not surprisingly, top of teenagers wish lists were reliable WI-FI and the chance to take awesome photos for social media, keeping in contact with their friends whilst they’re away. But younger children crave a swimming pool and ice-cream – as well as other food they’re not normally allowed to eat at home – it really is the simple things as far as young children are concerned. But, most exciting of all is that the UK was voted the top destination for historical sites by all age groups which is great news for this October half term where you can get to inspire children and visit some of the best attractions the UK has to offer – and teach them some history too. But the research highlighted Greece, Brazil and the United States as the top rated destinations for children this year, with all three countries recommended by the young guest reviewers who visited. We spent a week in Greece in July and I know that our children would also give it a big thumbs up – they can’t wait to go back. But, Japan, Mexico and Canada were also recommended by children visiting from around the world, showing how diverse destinations are more accessible and family-friendly than ever – and Mexico is actually top of our list of places to visit next year too. 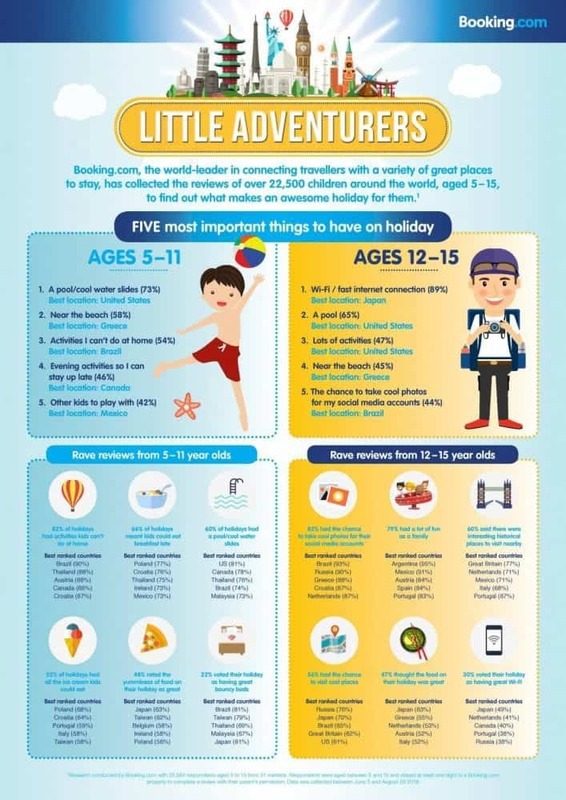 This infographic shows the results of the research for both younger children and teenagers so when you’re booking your next family break you can make sure it ticks all the boxes from a child’s perspective too – and can be ab awesome break for the whole family. We’re already planning our next year’s holidays and wherever they will take us we’ll definitely be looking for somewhere with a pool, near the beach and the opportunity for all of us to try things we couldn’t do at home, try new foods, see new things and all make memories that will last forever. What do you think? Are these the answers your children would give if you quizzed them on their dream holiday? For N it’s definitely all about the beach (good enough for body boarding – he’s never been abroad) or a pool and ice cream. 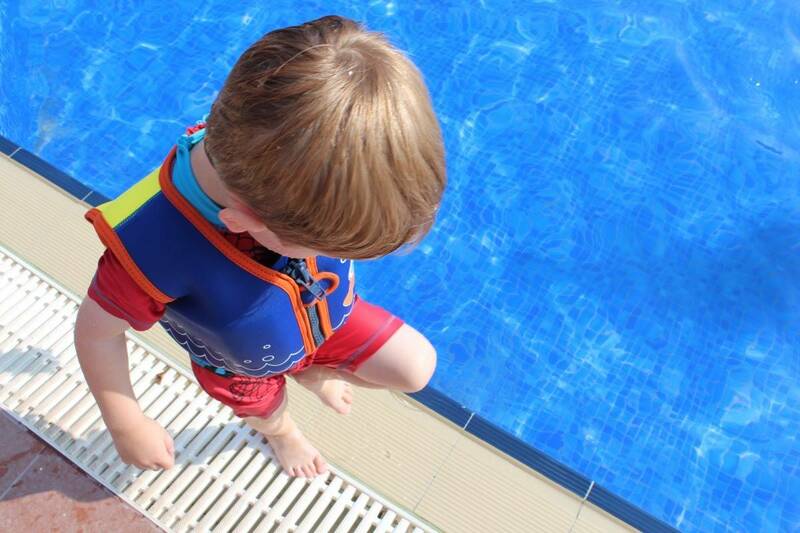 For my boys it is all about the swimming pool and the day trips 🙂 They’ve only been abroad once in their lives so far, which was to Majorca and it was an amazing holiday for all of us.